When I was growing up, my favorite thing after I came inside from playing, was to sit in front of our twelve-inch RCA and watch the world of comedy, drama, horror and adventure through that black and white set. Other than the comedy shows and the kids shows, the only other thing to watch were movies. Now remember, the only movies that appeared on tv in the early and mid-1950’s were classics from the 1930’s and 1940’s, as well as some silent movies. But my favorites, besides westerns and sci-fi were the movies with the Dead End Kids (Bowery Boys), Tarzan, Charlie Chan, or anything with Mickey Rooney. He danced and sang and got into all kinds of mischief. He was my favorite actor to watch. Robert Osborne, today’s host of Turner Classic Movies, has been interviewing the Stars for over fifty years. He told of two specific interviews which he considered his best: Lawrence Olivier and Anthony Quinn. Two of the most distinguished and accomplished actors of our time. 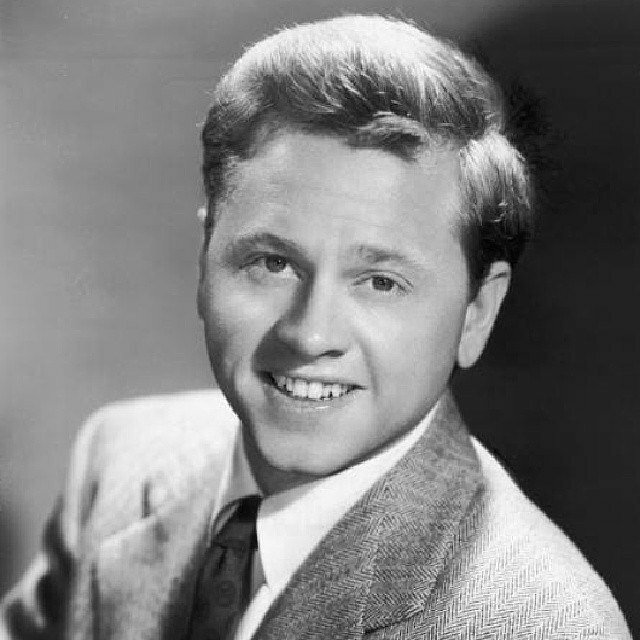 When he asked them (as he does everyone he interviews) “Who do you consider to be the best living actor, today?” Both, without hesitation, said “MICKEY ROONEY”. Just think, Olivier and Quinn saying that. Wow, what an honor! They said it was his dedication and sincere portrayal of everything he did and that he was the greatest talent that Hollywood would ever see. I agreed. Then again who am I to argue with the likes of those two outstanding actors? Here’s my personal touch with “The Mick”: it was sometime in the late 1970’s and a friend of mine got me three tickets to see “Sugar Babies” on Broadway. A vaudeville parody starring Ann Miller and Mickey Rooney as the “Top Banana”, with Mickey being the comedy relief. The play was magnificent and, of course, Mickey stole the show. He was in his sixties at the time and still great. My friend Ray, who was also with us, asked if we wanted to go backstage and meet the cast. Of course I said yes and off we went. But Ray warned us, don’t be surprised if Mickey doesn’t want to see anyone. At this time in his life Mickey was boozing it up a bit and became very difficult to deal with, so we decided not to go to his dressing room, but to move on to meet Ann Miller. When we passed Mickey’s dressing room the door was open and there he was sitting at his dressing table, with a towel over his head and screaming all kinds of profanities at the people around him. He was “sh*t-faced”. My dreams of my favorite star were slowly dying. Then, something precious happened as we stood out in the hall. I heard the alluring voice of a little man say “Come here sweetie.” It was Mickey gesturing to my daughter Michele, who was about eight at the time (and, as all of you know, has down syndrome ) She pulled my hand and walked me into the dressing room with my wife clutching the back of my shirt wondering what this pint-sized drunk was going say to my daughter. He took Michelle by both of her hands and then pulled her closer and put his arms around her in a hug which seemed like forever. As he embraced her, he looked up at both my wife and me, and what seemed like tears (probably sweat from his performance) he whispered “ You two are blessed, God Bless you both”. Then he kissed Michele on her forehead and said “Michele, you are mommy and daddy’s very, very Special Angel”. No matter what shape or mood he was in, he was a pure gentlemen and a true professional. From that day on “The Mick” has been and always will be Michele’s favorite star. She watches everything he ever did. When he passed, I told her as though a family member had died. I never know how she would react to someone’s passing, and of course, she always surprises me. She said “he’s in heaven, with mommy now?” Every APRIL 6TH will be Mickey Rooney day in our house for me and Michele. We’ll “veg out” and watch his movies all day, and maybe I’ll even get sh*t-faced in his honor… lol. We will never see the likes of this gentle man again. Rest in God’s Eternal Peace Mick, I know you’re the best up there, dancing on streets of gold!